Can we use acupressure points to improve our brain function? Acupressure is a healing art that relies on stimulating the inner energies of your acupuncture meridian system. This meridian system is the pathway along which your life energy flows throughout your spiritual body and into your physical body, keeping it alive and healthy. This energy flows into every part of our body - including our brain. When our life energy is allowed to flow freely and fully through our meridians, every organ of our body is empowered to function at full capacity. The brain is no exception to this. By stimulating acupuncture points with our fingers by using the process of acupressure, we can increase the flow of life energy throughout our body and into our brain. We can remove blockages in our energy that are keeping our brain from performing at maximum capacity. We already know that acupressure is great for removing negative emotions. But it's also great for removing negative mental blocks that are attached to these emotions as well. By removing negative energies within us, we clear our negative emotions that are intertwined with those energies. When our heads are clear of negative blockages like mental stress, our brains are allowed to function at full capacity. This clearance of negative energy and emotions can lead to increased concentration, mental clarity, and improved memory. Let's take a look at which acupressure points to use for improving the function of our brains. 1. Governing Vessel 20, at the very top of the head, in the middle of your skull. This acupressure point of the Governing Vessel meridian is great for improving mental concentration and memory performance. It will also help relieve your headaches. 2. 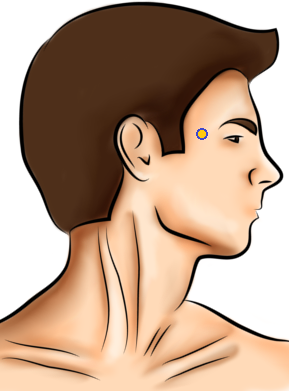 Extraordinary Point 2 (not a normal acupuncture meridian point), found on the side of the face, in the depression on the facial bones at the temple area, half an inch to the outside of the eyebrow. Use this pressure point to empower your brain and improve your memory and concentration. This point will also relieve your mental stress. It will relieve physical symptoms related to the head, such as headaches and dizziness. 3. 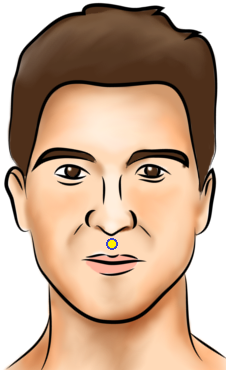 Governing Vessel 26, found on the face, in the middle of the upper lip, just below the nose. This is another Governing Vessel meridian point that can be used to improve your brain performance. It will increase your memory and concentration abilities. This point also relieves some other physical problems, such as cramps, fainting, and dizziness. 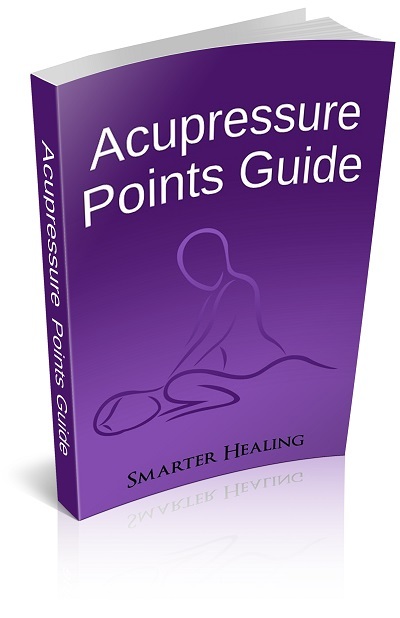 The author of Acupressure's Potent Points recommends that you use this acupressure point every day for several weeks in order to "build up" its effectiveness at empowering your mind. Since it's on your face in an inconspicuous location, you will find it easy to use this point while out in public every time you remember to do your acupressure exercises. 4. Bladder 10, on the back of the head/neck area, half an inch below the bottom of the skull, about half an inch to the side of the spine. Use this pressure point on the back of your neck to relieve all manner of negative mental experience, such as mental stress, emotional and mental burnout, and overexertion. This point will also relieve a feeling of heaviness of the head, and will help clear your mind and allow you to focus your thoughts. This acupressure point also helps to relax the muscles in your neck. This reduce muscle constriction around the head, allowing for greater blood flow into your brain, which will improve the wellbeing of your mind both physically and mentally. 5. Gallbladder 20, near the bottom of the skull, found in the hollow area on the back of the head, about an inch to the side of the spine. 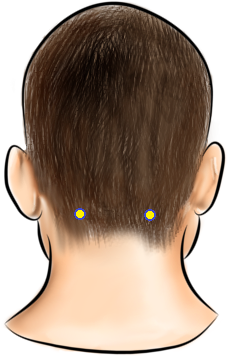 Use this acupressure point on the back of your head to relieve pain in the head. It will help remedy your headache and even arthritis pain across the entire body. Since concentration is impossible while in pain, this will help alleviate your mental distractions. Using this point will also improve your memory. 6. Governing Vessel 24.5 (between GV24 and GV25), located in the center of the face, above the nose, between the eyebrows. While not an actual acupuncture point, this famous spiritual point known as the "third eye" of the body is useful for our acupressure purposes. Use this powerful point to clear the mind and uplift the spirit. This will also improve memory and concentration. 7. Conception Vessel 17, in the center of the chest, located exactly three thumb widths above the bottom of the breastbone. This pressure point will aid in your mental concentration and relieve nervousness. It will also help with many other issues, such as insomnia, depression, anxiety, and other emotional imbalances in the mind. 8. Stomach 36, on the bottom part of the leg, exactly four finger widths below the kneecap, slightly to the outside of the tibia (shinbone). This acupressure point will strengthen the entire body. It will also strengthen the mind and improve mental clarity. 9. Liver 3, found on the top of the foot, located in the indentation between the bones of the big toe and the second toe. 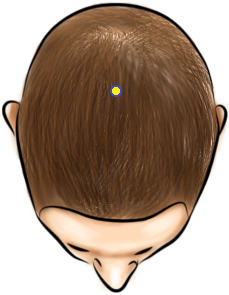 Apply pressure to this point to relieve headaches and fatigue, both mental and physical. This will also improve memory and concentration.